Beth Simone Noveck, Director of The Governance Lab at New York University, was awarded an OII Internet and Society award in recognition of her outstanding leadership in exploring and implementing new applications of technology that improve people’s lives by changing the way institutions govern. 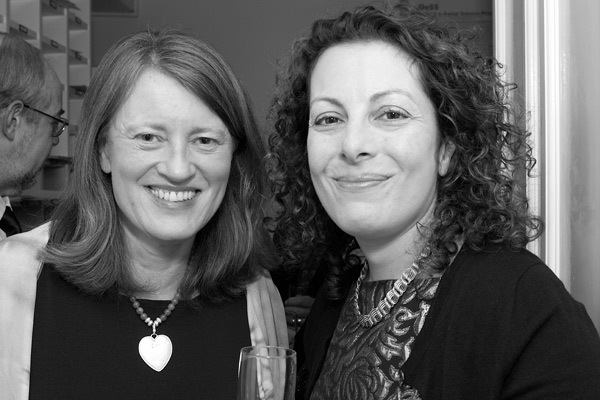 OII Internet and Society Award winner Beth Noveck (at right) with OII Director Helen Margetts. An academic expert on technology and institutional innovation, she was also previously the United States deputy chief technology officer for open government and led President Obama’s Open Government Initiative. As Jacob K. Javits Visiting Professor in NYU’s Robert F. Wagner Graduate School of Public Service, Beth Noveck is currently Director of the Governance Lab. This action-research centre seeks to explore ways in which information technology can be used to strengthen and improve relationships between government and citizens. Previous to this she served in the White House as the first United States Deputy Chief Technology Officer and director of the White House Open Government Initiative (2009-2011). UK Prime Minister David Cameron appointed her as a senior advisor for Open Government, and she also served on the Obama-Biden transition team. A graduate of Harvard University and Yale Law School, Beth Noveck serves on the Global Commission on Internet Governance and chaired the ICANN Strategy Panel on Multi-Stakeholder Innovation. She is the author of the book Wiki Government, a book that argues in favour of utilising Internet technologies to make the U.S. federal government more transparent in its activities and more open to citizen input. She was named one of the “Foreign Policy 100” by Foreign Policy, one of the “100 Most Creative People in Business” by Fast Company and one of the “Top Women in Technology” by Huffington Post.